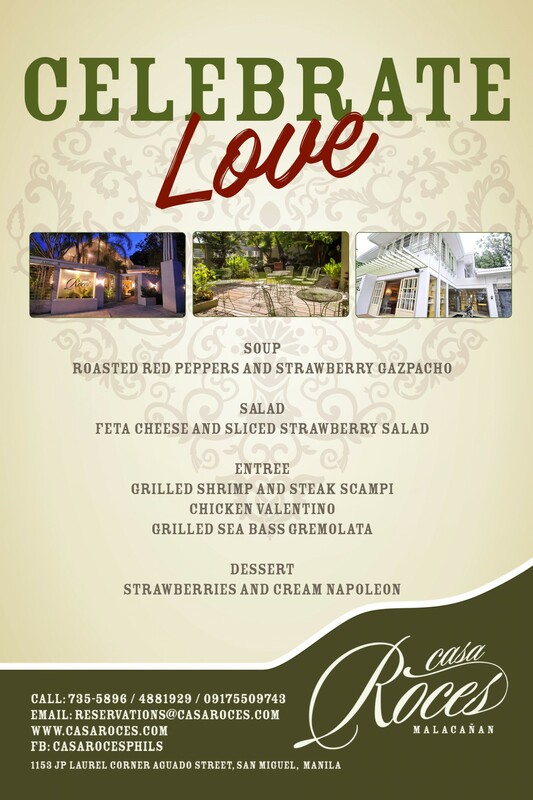 Love and history comes alive at Casa Roces this Valentine’s day. Known for its delicious array of Spanish-Filipino fare, the 1940s ancestral house-turned-restaurant has an inimitable charm palpable as soon as you lay your eyes upon its intricately carved door. Patterned tiles, vintage chandeliers and photographs from a bygone era conjure nostalgic notions and romantic ruminations – elements that tug at the hopeless romantic’s heartstrings. 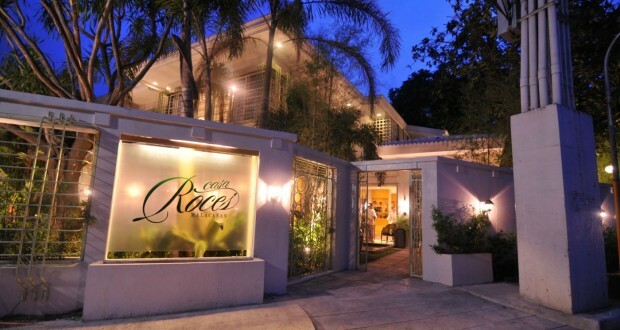 Casa Roces’ elegant setting makes it a distinctive spot for an intimate celebration. For Valentine’s season, Casa Roces has a special 4-course meal that will surely delight one’s senses. The romantic meal starts with Roasted Red Peppers and Strawberry Gazpacho soup and followed by a refreshing Feta Cheese and Sliced Strawberry Salad. Guest can choose between three scrumptious entrées: Grilled Shrimp and Steak Scampi, Chicken Valentino and Grilled Sea Bass Gremolata. Divine Strawberry and Cream Napoleon serves as the perfect ending to the intimate Valentine feast. Adding to the alluring ambiance are prints of famous Filipino love letters that inspire guests to linger and carry the conversation longer. For an even more intimate experience, reserve a table in one of the rooms at Galeria Roces on the second floor such as the Tribune Room (also known as the “proposal room”). Casa Roces is located at 1153 J.P. Laurel corner Aguado Sts., San Miguel, Manila. For reservations, contact (02) 735-5896, 488-1929 or 0915-1166102 or follow “casarocesmalacanan” in Facebook.